Colonising capitalists from Britain, France, the USA and other countries had carved out “concessions” within the city, where they could operate outside of Chinese laws. The flow of outside money, diversity of cultures and general lawlessness meant that Shanghai was both a beacon for the underworld (such as opium smugglers) and a centre of artistic innovation for Chinese music and cinema. In particular, the risqué cabaret culture and influx of American and European jazz musicians fuelled the rise of a new genre called Shidaiqu that fused traditional Chinese folk with American jazz and blues, sung by movie stars and pop divas. 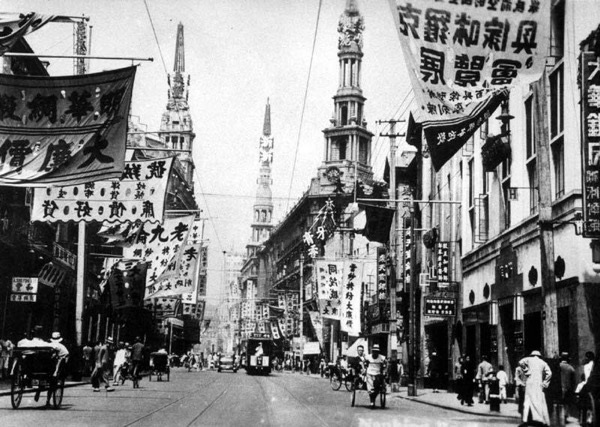 Immensely popular at the time, Shidaiqu was almost lost to the ages after being banned as pornographic when the Communist party took control of Shanghai in 1949. Musical cabaret Shànghǎi MiMi, directed by Australian burlesque innovator Moira Finucane, pays homage to the cosmopolitan world of 1930s Shanghai and its Shidaiqu soundtrack, with Chinese acrobats and dancers making their first appearance in Australia, and a hotshot live jazz band. And the music itself comes with an almost unbelievable backstory of disappearance and rediscovery, as Shànghǎi MiMi producer Douglas Hunter explains. “In 2003, EMI was clearing out an old warehouse in Mumbai, India in preparation for its demolition, having been there since the 1920s when it manufactured and distributed records under the Pathé label,” Hunter says. We asked Shànghǎi MiMi’s Musical Director John McAll to select five essential Shidaiqu (and related) songs from the Shànghǎi MiMi soundtrack that you should hear before you see the show.